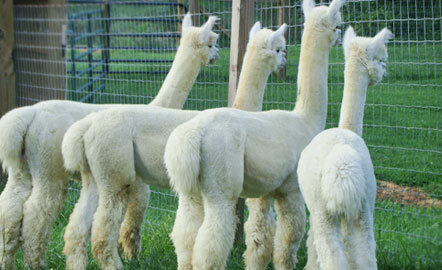 Out of This World Alpacas! 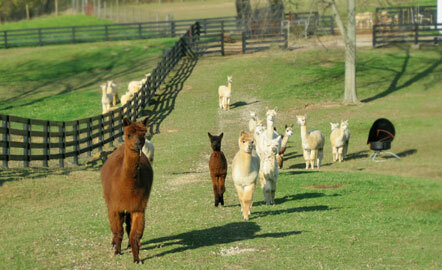 We are a small alpaca farm in central Kentucky just south of Louisville. 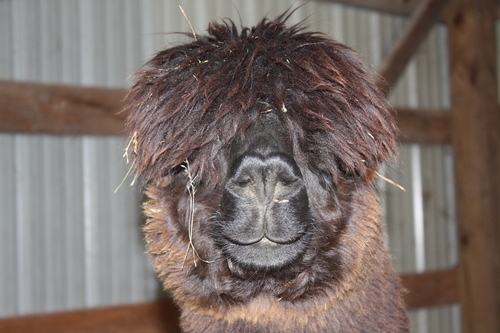 Currently we have 23 Huacaya alpacas. 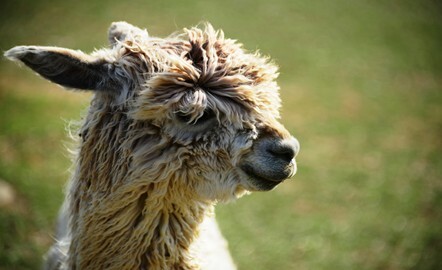 We have a farm store which sells alpaca yarn, roving and other products from our alpacas, and US made alpaca socks and other fun items. Our hours are by appointment only. 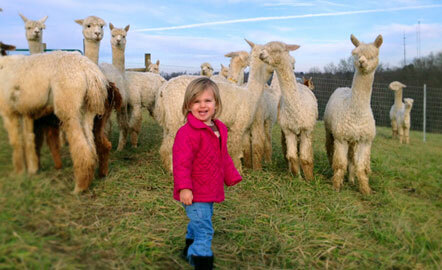 See our online shop at http://shop.wampastomp.com We also attend several regional fiber festivals, including Kentucky Sheep and Fiber Festival, Indiana Fiber and Music Festival, and the Mid-Ohio Fiber Fair. Stop by our booth and say hello! Our 2017 Shearing Day event is TBD. Please check our Facebook page for details. Our first show, the 2014 Kentucky Classic, was a great success! Our 3 year old boy Brandon took First in his class, and our Juvenile Rickon took Fourth in his class. In addition, we won FOUR ribbons for Spin Off entries! 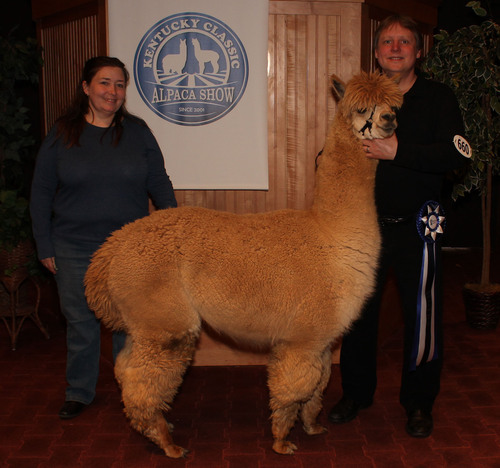 Icy Enforcer received a Third, and Winsome Delilah, Brandon Stomp and Icy Encounter all took Second in their classes! 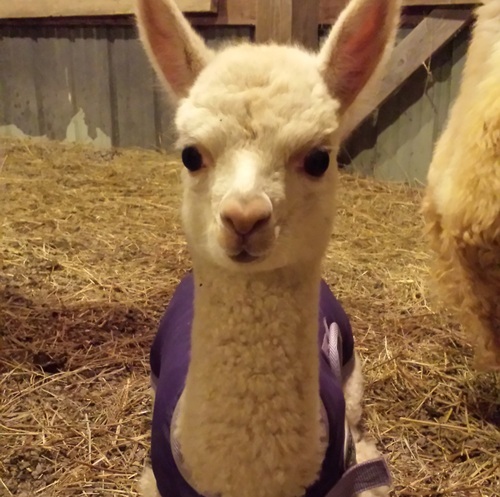 We attended the 2015 Kentucky Classic with four new cria: Skywalker Stomp, Groot Stomp (both out of Perazzi Stomp), Nightsister Stomp (out of Icy Encounter) and Chewpaca Stomp (out of Icy Enforcer). All four placed, Groot was 3rd in Bay Black Huacaya Juv. Male, Nightsister was 4th in Black Huacaya Juv. Female, Chewpaca was 5th in Med. & Light Brown Juv. Male, and Skywalker was 5th in White Huacaya Males. All received compliments by the judge on their soft fleece. We additionally received FIVE spin-off ribbons. Delilah received a 1st in Huacaya Light 2 yr+, Enforcer received 2nd and Encounter 3rd in Huacaya Dark 2 yr+, Brandon received 3rd and Arya 4th in Huacaya Fawn 2 yr+. 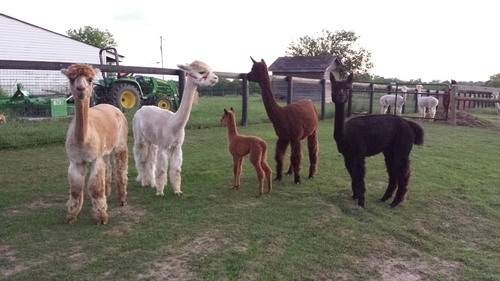 We are happy to work with you to begin your alpaca journey, or to add to your growing herd! Ask about package deals and payment plans! 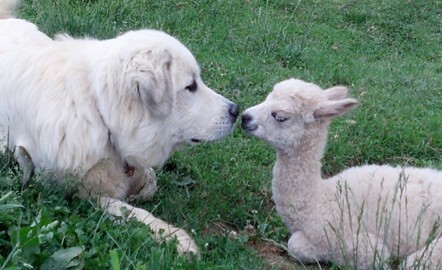 A Small Farm with a Big Heart! Welcome! 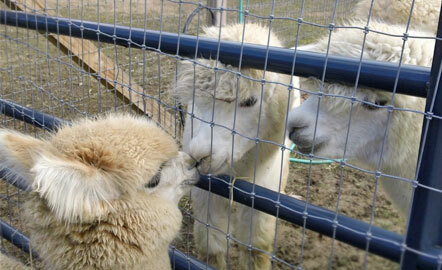 If you would like to visit our farm, please contact us for an appointment! 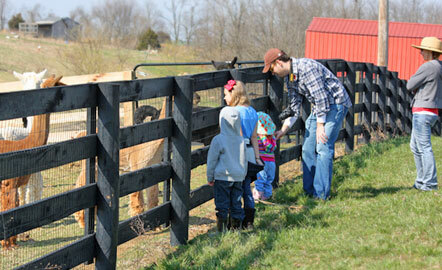 From individuals to small groups, we would be happy to show you our farm.